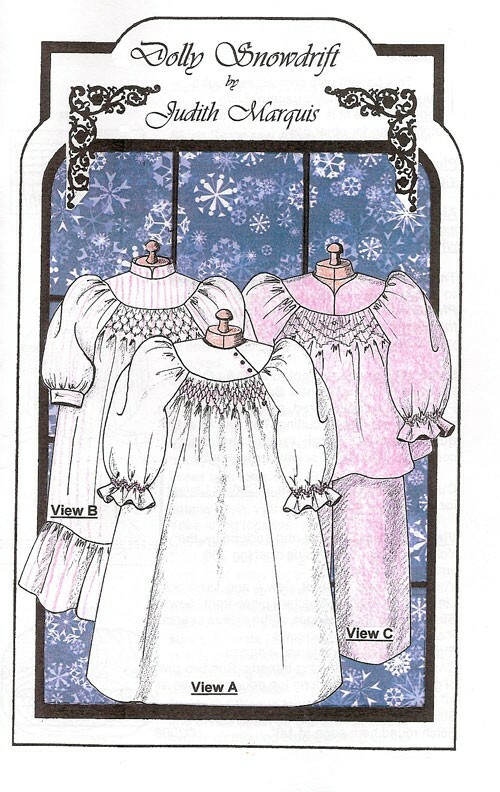 This pattern was created as a doll's version of the child's pattern "Little Snowdrift". To be made of heavier weight fabrics such as flannel or broadcloth. All 3 views are smocked & feature a round yoke like the child's pattern. View C has pajama pants to go w/the sweetheart neckline of the top.